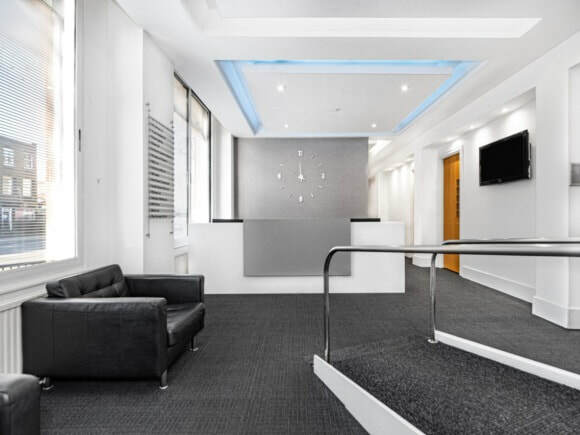 344-354 Grays Inn Road business centre is just a short walk away from Kings Cross and St Pancras train stations which provide good network links to London. The character building offers a large reception at the entrance of the building and a client waiting area. Throughout the floors there are all kinds of serviced office sizes that are fully furnished and are suitable for most sized companies. Together with board room hire that can be catered for, facilities at this location include communal kitchenettes and comfortable lounge areas to entertain guests in. The managed offices, which are air condition, can also assist with secretarial and IT support.